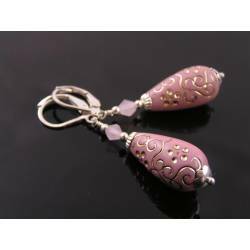 Genuine sparkling cubic zirconia drops supply bright colour. 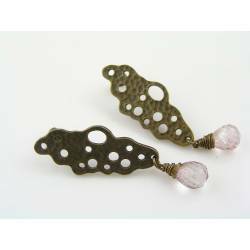 For these classic flower earrings, I used detailed calla lily shaped flower beads to which I matched three sparkling cubic zirconia drop beads per earring. 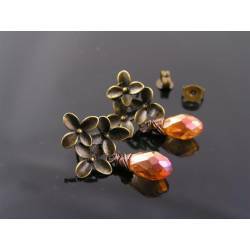 These are genuine Cubic Zirconia briolettes, not glass or crystal. 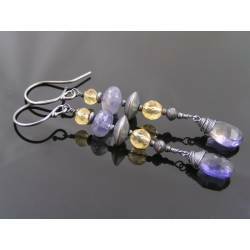 They have fabulous faceting and therefore brilliant sparkle. 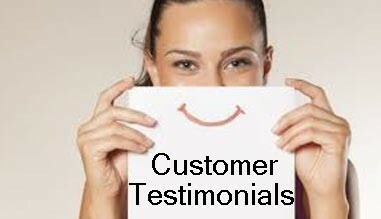 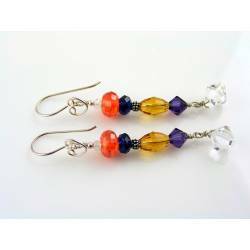 The colours are a strong yellow, Indian red and purple. 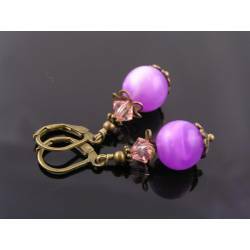 The flower dangles are topped with small brass beads and very light purple Cubic Zirconia round beads. 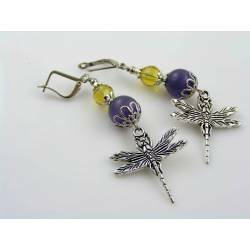 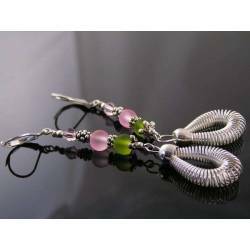 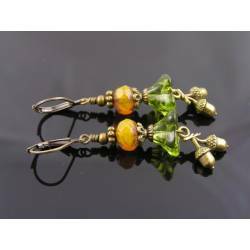 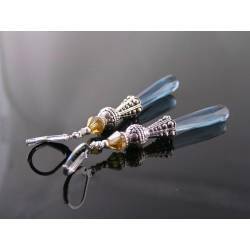 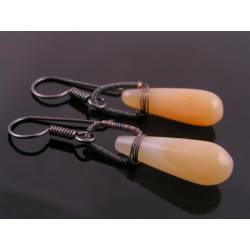 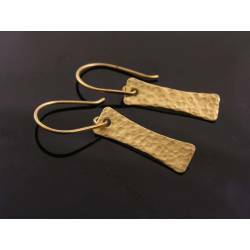 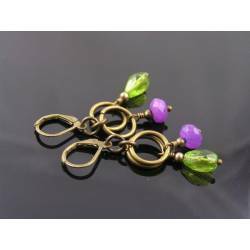 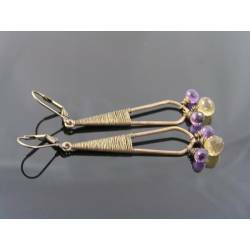 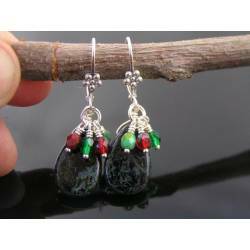 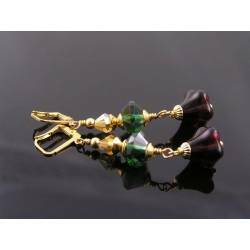 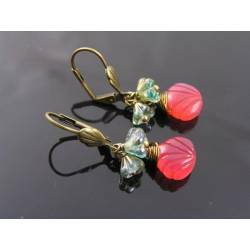 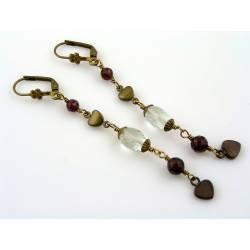 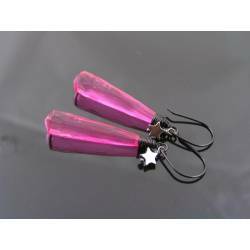 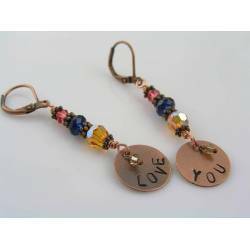 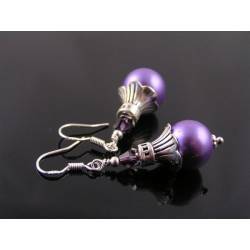 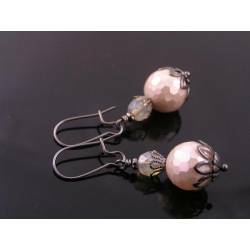 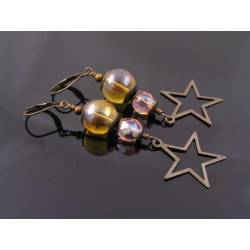 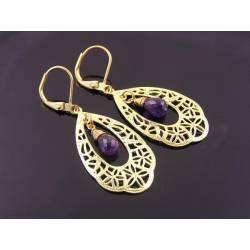 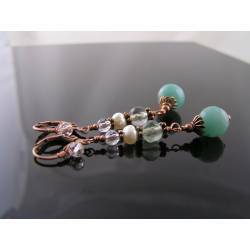 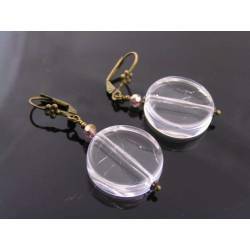 The earrings are attached to secure lever back ear wires and measure a total of 52mm.